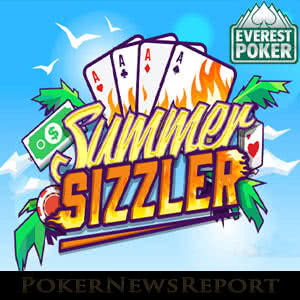 Everest Poker is launching a new “Summer Sizzler” mission-based promotion for June that gives players the opportunity to win a share of €68,000. If you are a regular player at Everest Poker, you should by now be familiar with the site´s mission-based promotions. 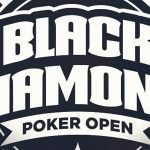 If not, basically all you have to do is complete a simple mission, for which you will be rewarded with a ticket to a daily All-In Shootout with a cash prize of €1,000. If you complete three missions within a week, you are rewarded with a ticket to a weekly €10,000 All-In Shootout. The great thing about this style of promotion is that the challenges are easy to complete. You do not even have to be present to play in the All-In Shootouts as you are all-in every hand. Furthermore, the All-In Shootouts have a super-flat payout structure, so it would be very difficult to participate in the “Summer Sizzler” promotion and fail to add anything to your bankroll. Mondays – Win with QQ on a cash game table. Tuesdays – Win two games of Twister with a €2.00 buy-in. Wednesdays – Win with a Flush on a cash game table. Thursdays – Win with KK on a cash game table. Fridays – Win a game of Twister with a €5.00 buy-in. Saturdays – Win two hands at showdown on a cash game table. Sundays – Win a hand on a cash game table with pocket Aces. You can complete the cash game missions on any NL Hold´em or Speed Poker tables with a minimum stake level of €0.05/€0.10 (heads-up tables excluded). Tickets to the daily and weekly All-In Shootouts are awarded automatically, but you have to manually register for each one. Any prizes you win in the Shootouts events will automatically be credited to your account. Although you do not have to be physically present to play in the All-In Shootouts, we know that some players like to follow their progress. Therefore, the daily All-In Shootouts take place at 7:00pm GMT from Monday June 5 until Sunday July 2. The weekly All-In Shootouts take place each Sunday at 8:00pm GMT from Sunday June 11 to Sunday July 2. While the Summer Sizzler promotion is in progress, Everest Poker is also running a Wild Twister promotion. This promotion consists of Twister games with a buy-in of €0.50 in which all three players are all-in every hand. Usually one hand is all it takes to find a winner, who will win a tournament entry ticket with a value of between €1.00 and €50.00. The Wild Twister games can be found in the Twister lobby along with a special “Vegas” edition of the game in which players can win a €5,700 package to the World Series of Poker. You can enter up to four games of Wild Twister at a time, but please note that games of Wild Twister and “Vegas” Twister do not contribute towards your ranking in the weekly Twister races. Everest Poker is a great place to spend your summer. 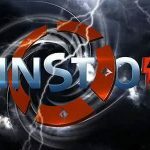 As well as the Summer Sizzler and Wild Twister promotions, the site has an excellent range of cash game opportunities, pays out more than €7 million each month in guaranteed tournaments and has one of the most valuable rewards programs of any site on the iPoker Network. 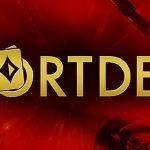 Furthermore, if you are new to Everest Poker, you are eligible for a 200% first deposit bonus up to €1,500, €10.00 worth of tokens to try out the games before investing any of your own money, and three free entries into the site´s €1,000 Series Tournaments. 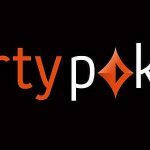 There is no special Everest Poker bonus code to use to take advantage of this generous offer. Simply follow our links to the site and create your account today.